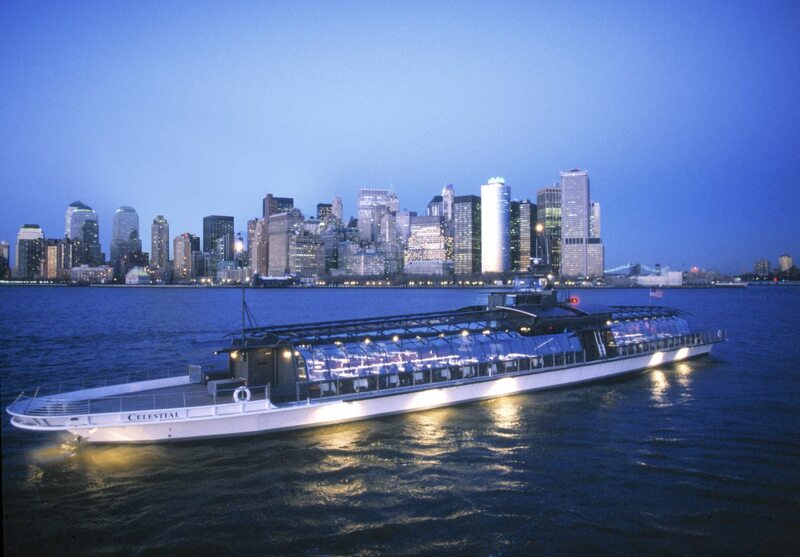 Looking for an extraordinary NYC dinner cruise experience? Yachts For All Seasons offers a unique alternative to dining in NYC while being surrounded by breathtaking elegance, architectural landmarks, and world class dinner service. Climb aboard one of our popular twilight NYC dinner boat cruises along the New York Harbor while witnessing the captivating beauty of the illuminated NYC Skyline. Enjoy live entertainment, dancing, and drinks with your dinner cruise guests as you cruise NYC in a way impossible to forget. Choose an evening NYC cruise dinner adventure and treat your esteemed guest(s) to a marvelous NYC dinner with your personal choice of drinks and selective hors-d’oeuvres. Your dinner cruise guest(s) will be quite impressed with the spectacular views of the lighted NYC skyline, soothing musical entertainment, dancing and more. The NYC dinner cruise packages offer a spectacular way of enjoying NYC for the ultimate in dinner and fine dining! 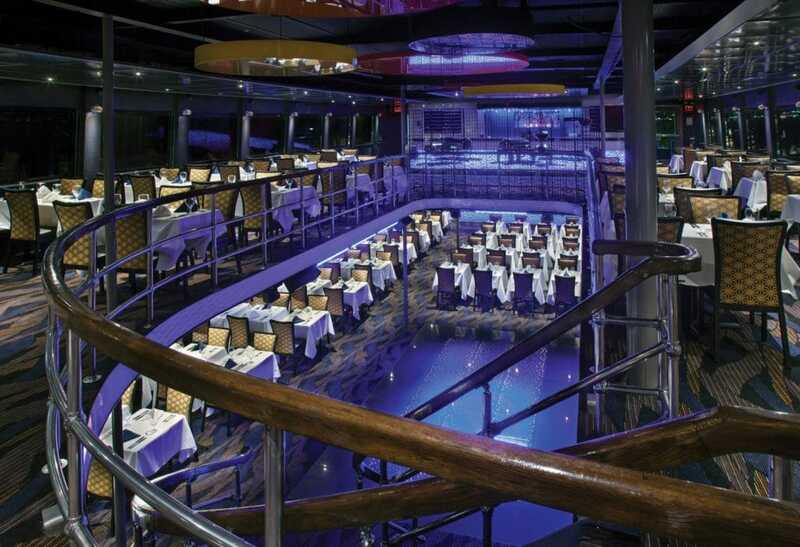 You can also pick from your favorite choices of New York dinner cruises such as treating yourself to a delicious buffet experience, gourmet cuisine, elegant 3 course meal and more! Take in the views of the incredible landmarks of the downtown Manhattan skyline while enjoying a world class event with live entertainment to entertain your lucky guests! While knowing no special event is ever the same, Yachts For All Seasons offers a variety of dinner cruise choices that best suit your needs. Find the best dinner cruises for special occasions, receptions, rehearsal dinners, company parties and more! Contact us today and Dinner cruise in NYC for your next celebration! We will discuss the best options based on your specific needs and provide you with a list to to consider! Sound good? What are you waiting for? Book today and celebrate your next special occasion, event or share an incredibly romantic evening with your spouse. All NYC dinner cruise packages include the very best in fine dining, dancing, entertainment and of course unimaginable views! For more information on some of our current dinner cruise specials, submit a FREE QUOTE REQUEST and one of our senior party planners will follow up to provide a complimentary list of our top rated dinner cruises. WINTER SPECIALS! Book Your NYC Dinner Cruise on the Water Today and Take Advantage of our Current WINTER Savings!